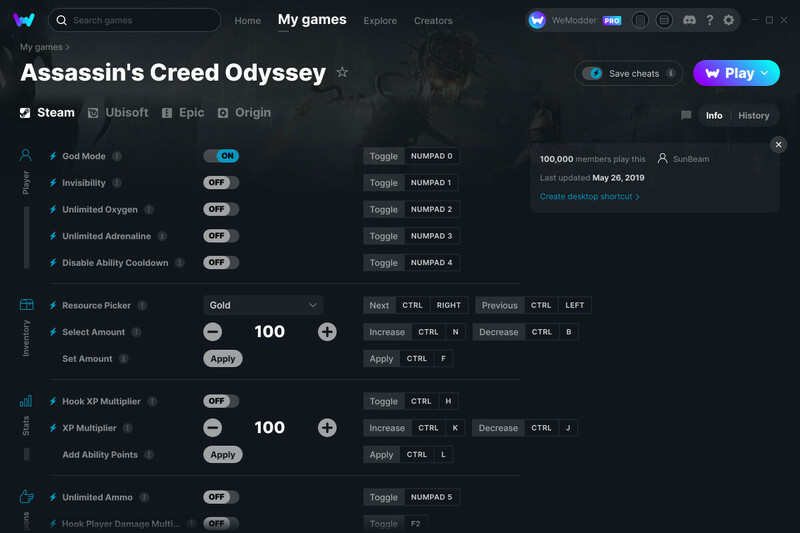 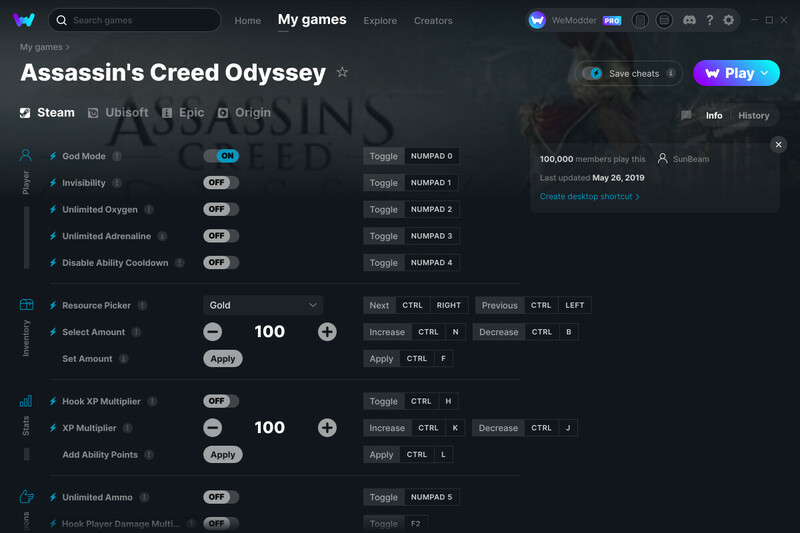 Our Assassin's Creed Odyssey trainer has over 22 cheats and supports Steam and Uplay. Cheat in this game and more with the WeMod app! Download the app This game will be added soon.